According to MalaysianWireless.com, he has managed to get the most likely prices for the iPhone 5S and iPhone 5C from the wonderful people that he knows. Apple has announced that Malaysian will be able to get their hands on their latest iPhones which is iPhone 5S and iPhone 5C on 1st November 2013. And the telcos said that they will launch the iPhone 5S and 5C a day earlier which is on 31st October 2013 (Thursday). MalaysianWireless.com further explains that the final pricing of the RRP for iPhone 5S and 5C might not be the same for each telcos as what had happened last year whereby DiGi’s iPhone 5 is RM100 higher than other telcos. It seems that Apple doesn’t have the final say to the RRP price of the iPhones. So, expect that there might be a RM100 difference between telcos for the prices given above. 🙂 The RRP for iPhone 5C for Maxis and Celcom is confirmed at RM1,899 whereas for DiGi, it is still unconfirmed. New update from MalaysianWireless.com said that the contract price for iPhone 5C should be around RM1,200-RM1,300++ even though Apple wishes that the telcos to put the price lesser than RM1,000. So, what do you think of the prices? For me, I don’t see it as a surprise because the price of iPhones is always around that RM2,299 – RM2,490++ range. What surprise me is that the price of iPhone 5C. RM1,899 is way too expensive. And RM1,2K-RM1,3K for the contract price? This is not the way to go the lower end market to compete. 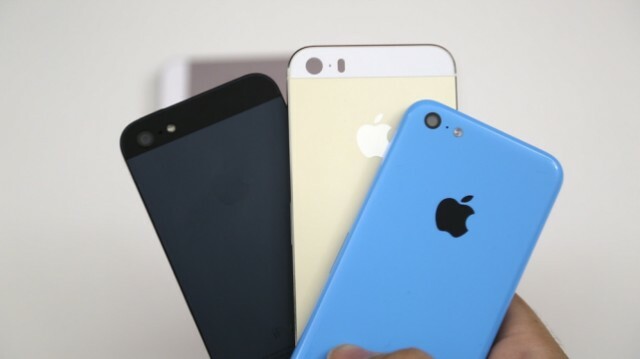 No wonder Apple is cutting its iPhone 5C orders but increases it iPhone 5S order. Champagne gold is a nice booster for its sales especially when every other high end smartphones are offering black,white and red. Don’t forget that it is Apple that introduces the white coloured iPhone and ever since that every other brand includes white colour option. Everything is unconfirmed and might change at the end. So, stay tuned and johnkhor.com will keep you updated with the latest news about iPhone 5S and iPhone 5C. Next story How Much Is Apple OSX Mavericks? It’s FREE!!! Previous story Ninetology U9 Series & Social Urbanite Launching @ 1881 Chong Tian Hotel!! !